Depending upon the size of your organization and scope of the services you require, our retainers range between $5,000 and $15,000 per month. Once we enter into a partnership, we conduct several strategy sessions with our clients to diagnose the core issues we need to solve. Spirited and consistent collaboration is essential at the beginning of the relationship to ensure we understand our client’s business objectives, organization structure and capacity to manage growth. This process takes between 30 and 45 days, at which point we leave with a clear understanding of the objectives, a roadmap both sides agree upon and specific, measurable goals. 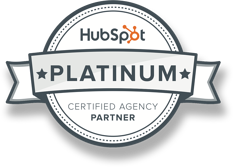 Every Inbound client is required to obtain a HubSpot software license. This is the central development and marketing platform Morey Creative utilizes to deploy our marketing campaigns. In addition, we may unearth the need for additional products during the strategy phase. While Morey administers and maintains these licenses, they are owned exclusively by our clients. With a sound strategic roadmap in hand, we set about executing our plan to attract, convert and delight new customers on behalf of our clients. While every content offering or design concept is different, our process is the same every time. And although we have mastered Inbound Marketing (so far! ), the most exciting thing about this cutting edge field is that it’s constantly changing. 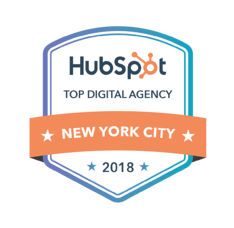 The Morey team maintains HubSpot Certifications and routinely requires internal training to remain energized and informed. Throughout our relationship, we share our victories and our challenges, constantly revise and improve our strategy and work tirelessly to grow our clients’ businesses. Depending upon a client’s timeframe for success and the outcome of our strategic planning process, we sometimes recommend a discretionary amplification budget to deploy on behalf of our clients. This may take the form of email marketing, pay-per-click, retargeting or additional programmatic or content distribution options to amplify our content production. Budgets are discussed during the strategic planning phase with funds placed into an advertising escrow account and subsequently deployed at our discretion. There are no additional fees or commissions on the amplification spending so 100% of the budget goes directly toward our client’s campaigns. Full reporting is provided at the conclusion of each campaign.